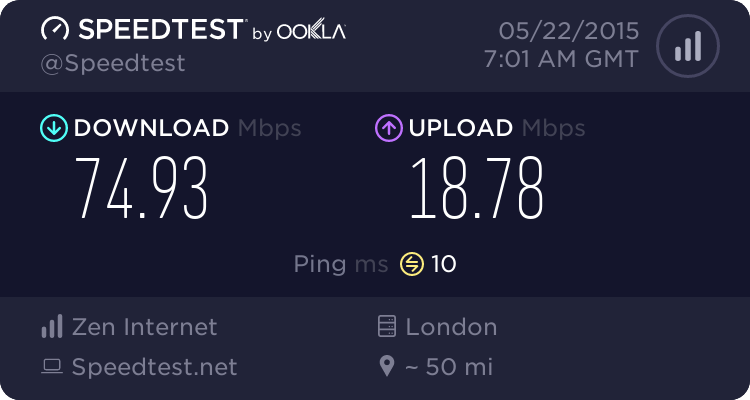 Every time we get a power cut my Zyxel router drops back to connecting via IPV4. A&A reconfigure the router, we get back to IPV6 and all is well till the next power interruption. Has anyone else had this problem and what was the solution? I have never managed to get an IPv6 connection!! I just haven't had the energy to ask about it. I get allocated a block, but no configuration of this router (via an Openreach HG612) gives me an IPv6 IP address. Even though TR-187, the standard for IPv6 Internet access over PPP, was issued back in May 2010, it seems that robust CPE support for this standard is still lacking, sadly. Worse still, many inexpensive routers do not support baby jumbo packets when bridged, precluding the use of RFC 4638 to get MTU 1500 operation. This certainly was a problem with the VMG1312-B10A, and I wouldn't be surprised if it also affects the VMG1312-B10D that some ISPs are now using. If you want a VDSL2 to Ethernet bridge for Openreach FTTx, you're probably better off with an unlocked HG612. The upcoming port of pfSense to ARM might well provide a high quality but inexpensive solution. I'd pair the uFW with a HG612 and an inexpensive 8 port Gigabit smart switch to which I could connect any necessary wireless hardware (I'd go for 802.11ac Ubiquiti APs and Ubiquiti controller). I contributed RFC 4638 support to pfSense 2.3, also I've found and fixed quite a few IPv6 over PPP bugs. In my deployment, IPv6 over Zen FTTC is stable, though there are still a few issues with DHCP-PD from the WAN. I use static prefix delegation, so am not really troubled by this.